People thinking of heading to Madeira in the next few weeks may want to consider taking out medical travel insurance after figures showed cases of dengue fever were still on the rise after an outbreak began in October. The European Centre for Disease Prevention and Control (ECDC) said there were 1,819 dengue cases reported as of November 25, up from 1,672 cases reported a week previously. In the two month period since the mosquito borne virus was detected, 118 people have required hospital treatment. The majority of the confirmed cases of dengue fever have been in residents of Madeira Island, and in particular those who live near the main port city of Funchal. 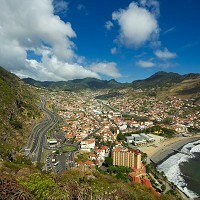 Other cases have been reported in Porto Santo, the other inhabited island in the archipelago. Travellers have not been immune to the illness though with latest figures showing that 43 people who returned home from Madeira at the end of November were dengue positive, up from 33 the week before. An analysis of human samples of the disease showed it probably originated in Latin America due to the similarity with DENV-1 circulating in Venezuela and Colombia.